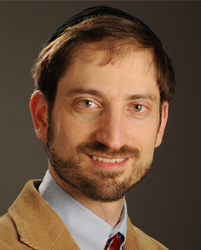 Jonathan B. Margolin is a principal researcher at AIR. Dr. Margolin designs evaluations in close cooperation with clients to ensure that the findings provide actionable answers to important questions about each program. His current projects include the development of a teacher information system for Virtual High School Global consortium, the evaluation of the National Center on Intensive Intervention, and the evaluation of two informal science education programs (funded by the National Science Foundation and the federal Investing in Innovation program, respectively). Dr. Margolin recently concluded a research project, funded by the Gates Foundation, on occupational degree programs offered by community colleges. In the past, he has directed the evaluations of a statewide inquiry science initiative and a national teacher professional development program. In the past, he has served as the editor of a professional development newsletter.